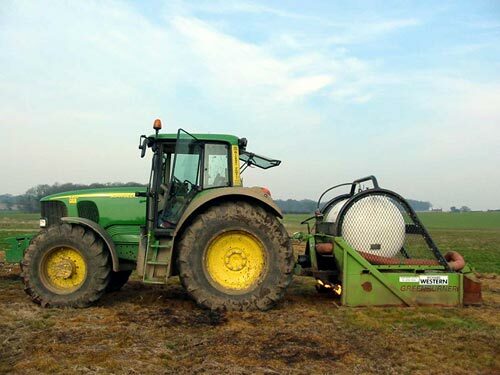 We provide efficient and cost effective products for numerous aspects of Farming, Agriculture and Livestock care. These products have been well tried, tested and proven for over twenty years and they have served to dramatically increase crop production in many countries where it has been needed most. Over the next few pages you will learn about our unique products for use in rejuvenating soil, such as in a fallow field, products to protect and enhance the crops, products for treating water, products for eliminating foul odors, eliminating bugs and insects and even products to keep your livestock healthier and rid them of various issues and diseases. We have products for Poultry farmers that are very successful in eliminating the Darkling ( Litter ) beetles, insects' eggs, larvae, flies, ants and other types of nuisance insects that plagues chicken houses. Our products can also provide protection for the eggs which will help in the prevention of bacteria's, fungi & viruses. We can also provide protection against Ammonia build-up which helps to neutralize & eliminate much of the foot burn on the birds. Equally, we can provide products for insect control, intestinal worms, bacteria, fungi, parasites and some viruses for cattle and equine farms. 100% organic alternatives which are effective solutions to many health and disease related issues, making for happier and healthier livestock. 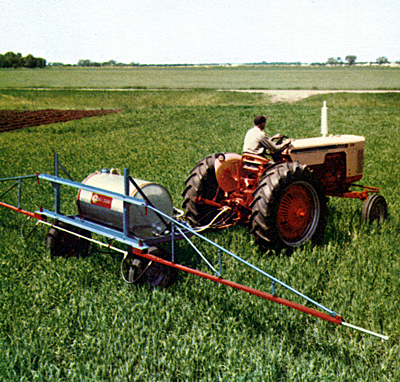 The world of Agriculture, Horticulture, Ranching and Farming have really had little choice in the types of products they more or less been monopolized into purchasing. Namely, a vast and varied range of chemical based products that in many cases can do just as much harm as they may do good. With our range of Agri-based products, you can rest assured that you will be purchasing truly natural products that are unique and genuinely effective. You will find that our products are actually more effective than anything else you may have used and of course, they are also totally safe and non toxic, they have no negative effect to our environment, water, people or animals. Additionally, we offer products to permanently preserve your wooden barns and sheds from rot, decay, insect attack and water damage and another product that will greatly improve performance and economy in farm machinery. Here at AIM International, we believe in our products and we stand behind them and the various purposes they have been formulated to achieve. As a distributor, customer or end user, you will know that each time you purchase our products, you will receive the same high quality and effectiveness in every container. 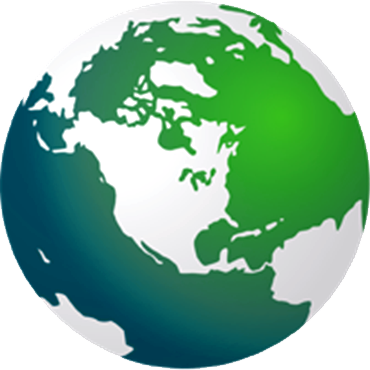 We can drop ship to any location in the World though our main facilities in Boston, Massachusetts. All products are formulated and manufactured using 100% natural, alternatives with no chemicals, colorants, synthetics or artificial additives of any kind. The results: Some of the finest, most effective green products in the World today, all assist in not only helping the issues at hand, but also in helping our environment for future generations. When your customers start using our range of all natural Agricultural products, they will be quick to see and realize the many benefits provided for them. 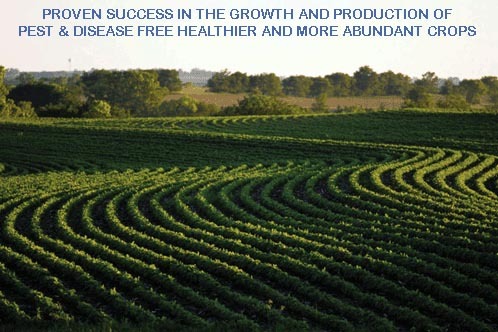 The end results are found in a more abundant and much healthier crop, with no concern about disease or damage by insects. All of this and more, and without the need for toxic chemicals and a range of poisons. The results of chemical free soil conditioning are visibly noticeable by the sheer abundance and obvious health of the planted crop. 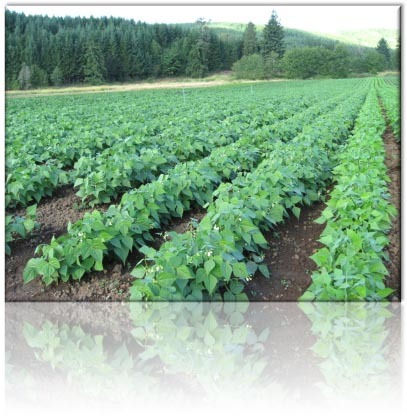 No toxic pesticides or insecticides are required where Agricure™, AgriCurePlus™ and AgriGuard™ are used during the planting and growing process. Please remember that although these unique products are comparatively new to the North American markets, they have been very successfully used overseas in developing countries to assist in many humanitarian efforts for the increase in crop sustainability and production. Our products represent cost effective, all natural and highly effective alternatives to the continued use of toxic chemicals in farming. 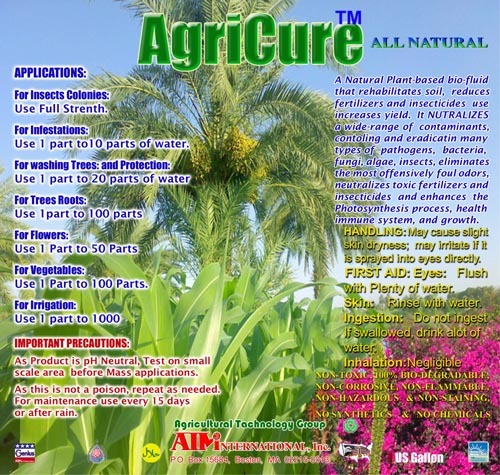 Agricure™, AgriCureplus™ and AgriGuard™ can also be used for the injection treatment of most types of tree, to protect them against disease, insects and fungal attack. It is knowing what it isn't that makes it so great at being what it is !